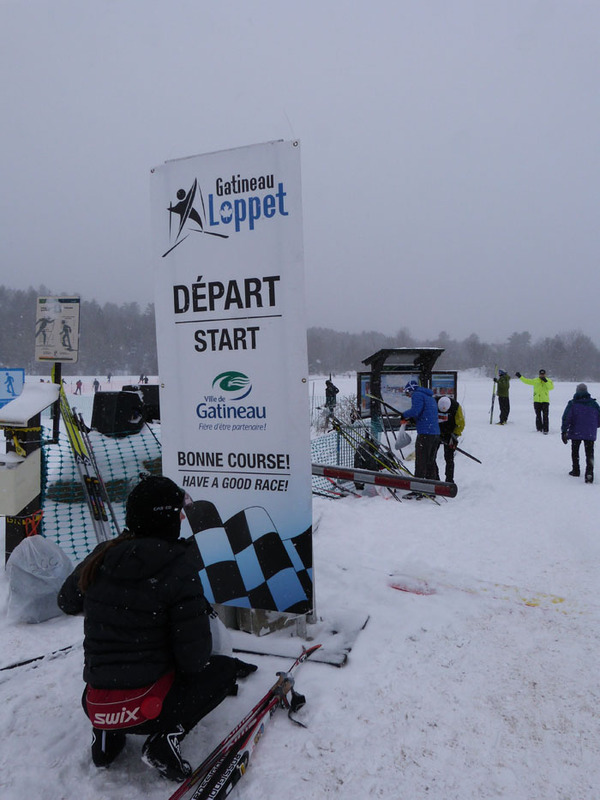 “This is the 37th Gatineau Loppet and I believe it is the coldest ever experienced!” Yann Michaud, the new Gatineau President is categorical: “especially with the cold wind that penetrates the bones”. The limit for the start is here -25°C. The temperature was -23°C at the Mont Bleu School on this Sunday, but with this strong wind some people talked about a felt temperature of -35°C. And with this cold snow that sticks to the skis (it was snowing the whole previous day), the glide is rather bad. 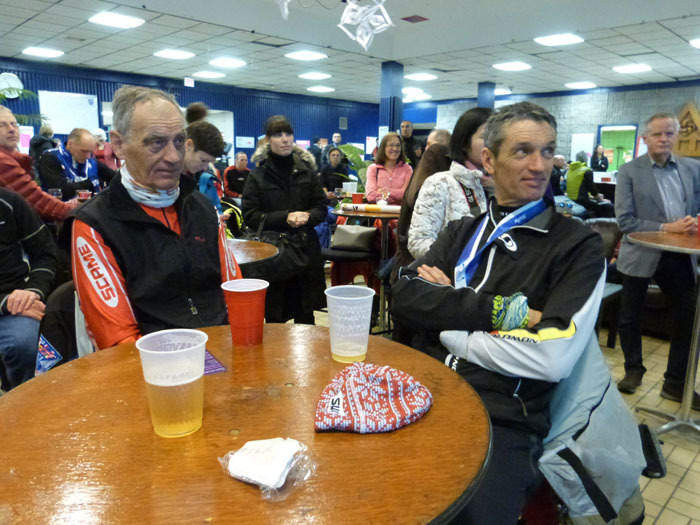 Claude Laramee, the race Director, stayed during two hours at mid-race: ”You can’t imagine the number of skiers that I stopped when I saw the slightest trace of freezing on cheeks, ears, the nose… I warmed them with my hand and when they were OK I let the go…” Thank you Claude: you have saved many: in the race one does not notice freezing and later it is too late. The previous day the organizers had made (the good) decision to reduce the skating race to 42 km instead of 51, 22instead of 27 and 8.5 instead of 10. Andrey Chetnev, a Russian from Moscow, although accustomed with cold finishes like a machine in 3.30 , his beard covered by an icy layer, only the eyes are still sparkling in spite of the fatigue: “Trudno!”. Hard, in Russian, is the only word he utters at the finish.”Trudno”, especially as he had already skied on the previous day the 51 km classic race with -18°C but with the continuously falling snow that stung the face in descents. And fortunately the return was easier with a tail wind. 210 skiers finished this memorable race, some 50 pulled out in the race and more that 100 did not start, DNS. Including me, having not recovered from the Saturday race. Same for two other French skiers, Michel and Jean, though tough men (Jean Quillot is a senator of La Transjurassienne, which means that he has skied all TJs since its creation in 1980) having skied the Ultra Trans the previous week (the two long distance races of TJ) and wanting to keep energy for the Birkie in Hayward the following Saturday. Competitors of our friend Hannes Larsson whose book “Cross-Country Skiing Around the World” is available at the ski show and thus reminds about his presence, since he is temporarily deprived of Worldloppet races. Ivana and Josef Kral who also are Worldloppet chain skiers are more courageous than we, and finish the two races, as always, hand in hand. For the classic race the new course started at Parking P17, more comfortable because of a wider start area: the buses could park and keep the skiers in the warm. A SWIX board dating from the previous century announces the temperature of air and snow and recommends POLAR. For many years I haven’t used this black stick. The snow continues falling and covers the tracks, all except one, on which all skiers are lined up and leave it only for a short instant for overtaking an even slower skier. In spite of the ski-glasses and the mask the tears are freezing on the eyelashes and dim the eyes. I carry warmers in the boots and in the gloves, a mask and layers and layers of clothing. I am fine, not cold, but feel a little stiff. Distance posters are set every km, and they do not pass rapidly.. Fortunately the food stations are frequent (every 10 km) and well furnished: that chicken soup, what a treat! They say that we are passing lakes with swimming and picnic areas: I really don’t long for that this morning! I’ll return in Summer;;;here a poster informs that canoeing is forbidden. No worries, I will wait, for the moment being I keep my mask tight on my face in spite of the steam that freezes, to avoid snow vortexes. The kms on the “promenade” seem endless to me, especially that long hill at 30 km swept by the wind, and I wait impatiently for the forest and the steep climbs that are herringboned. Even the last 5 km, supposed to descend seem endless: at last the sound of loudspeakers wakes us up. I thank and admire the volunteers who stay almost motionless in the cold to guide us or to give us a cup of warm drink. “I am experienced says Louise, a charming dynamic blonde, Gatineau always happens on the coldest week-end of the winter!”. During more than two hours she stays stoically on the finish line to congratulate every finisher naming her/him by the name. Made difficult this year by the adverse conditions, this Gatineau merits however lauds. Through its course: a beautiful crossing in classic on Saturday, an animated loop on Sunday. Through the reactivity of the organizers who had to change the courses on Saturday night and mark the new ones. Through the beautiful ski show open from Friday to Sunday which allows meeting people and making buys. Through the pompom hat offered at the finish, nice and well cut. 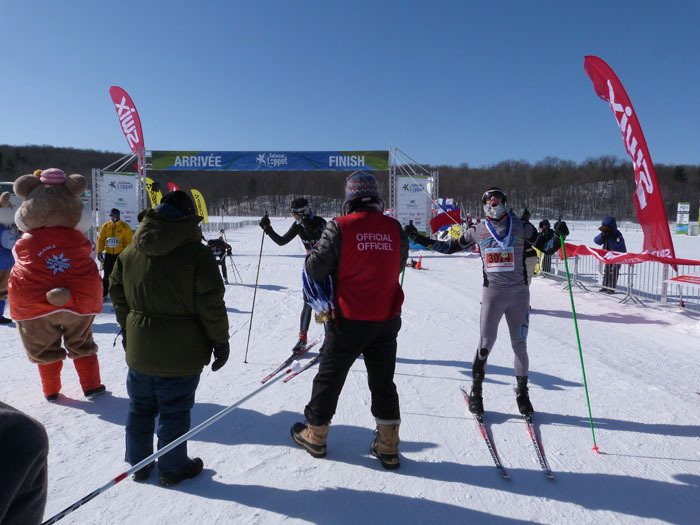 Through the warm tasty meal served at the finish and the nice reception of Worldloppet skiers on Saturday evening, placed this year under the sign of Beijing that made the promotion of the 2024 Olympic Winter Games! -Bibs of running race type to be pinned on the bib, not comfortable in winter on clothing that does not like pins. 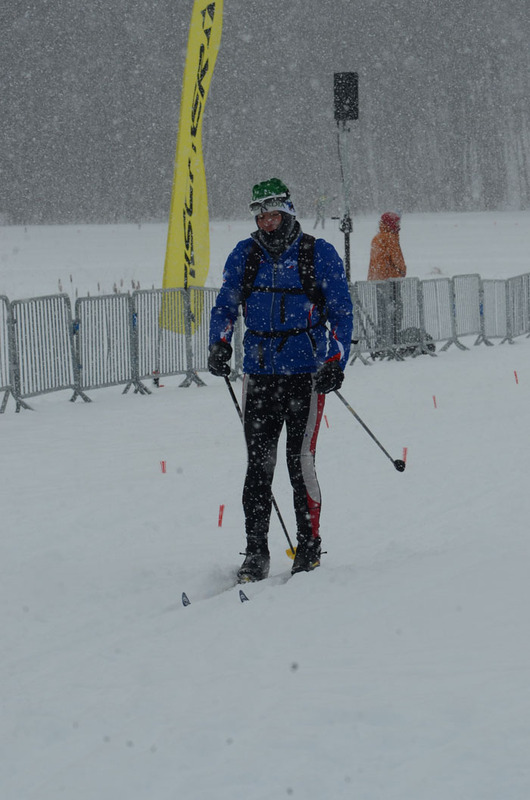 All this does not lessen the charm of Gatineau, the biggest ski event in Canada… and no doubt the only WL race (with Marcialonga and the La Ciaspolata ) hat features snow shoe races ( on 5 and 10 km).